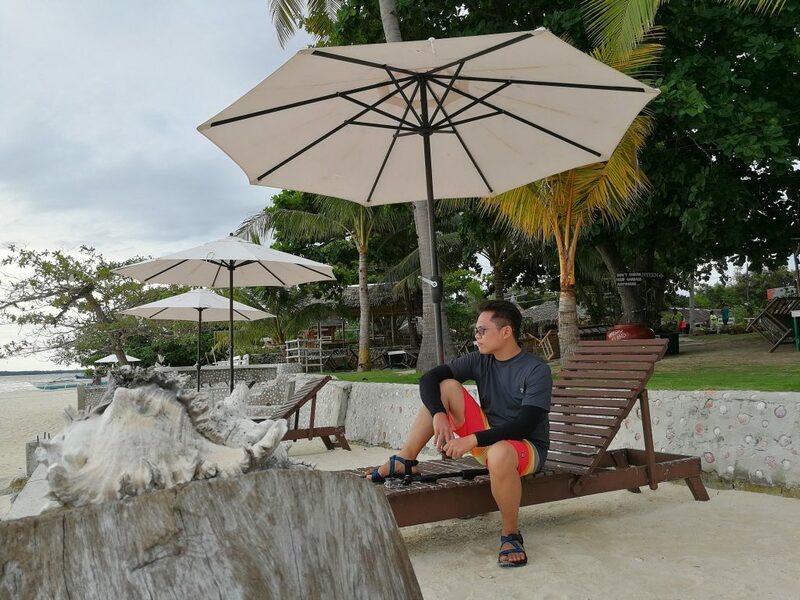 Let’s explore Cebu’s most peaceful and recently famed Bantayan Island! 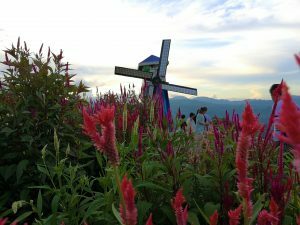 Come and join me for a 24-hour+ stroll from the towns of Sante Fe to Madridejos! Let us also help you plan yours with a complete budget, expenses and itinerary guide. When we talk about Cebu, the first thing that will be brought out into the table are the old churches. It should be because this is the place where Christianity in the Philippines started. Probably next is how Cebu was when it was the capital of the country. Then surely, the several mountains, rivers and waterfalls will be found on the list! Name it! All of your needs for the best canyoning/canyoneering experience is here in the province of Cebu! Most people are going to Cebu to experience this, alongside with the famous Whale Shark watching. 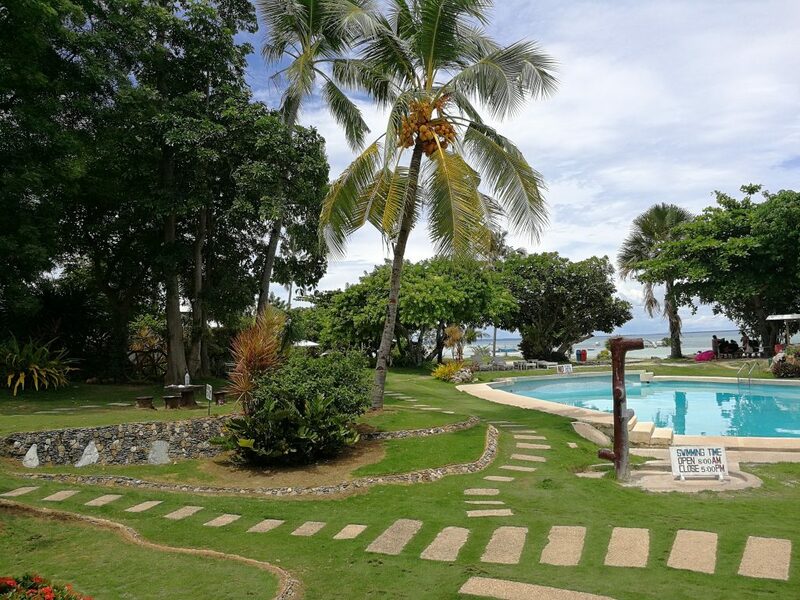 If you already noticed, all of these physical activities are found in South Cebu. But, how about the northern part? North Cebu is the exact opposite. When south goes wild, the north will compensate. Aside from the main island of Cebu, there are another two notable islands in North Cebu namely Malapascua Island and Bantayan Island. 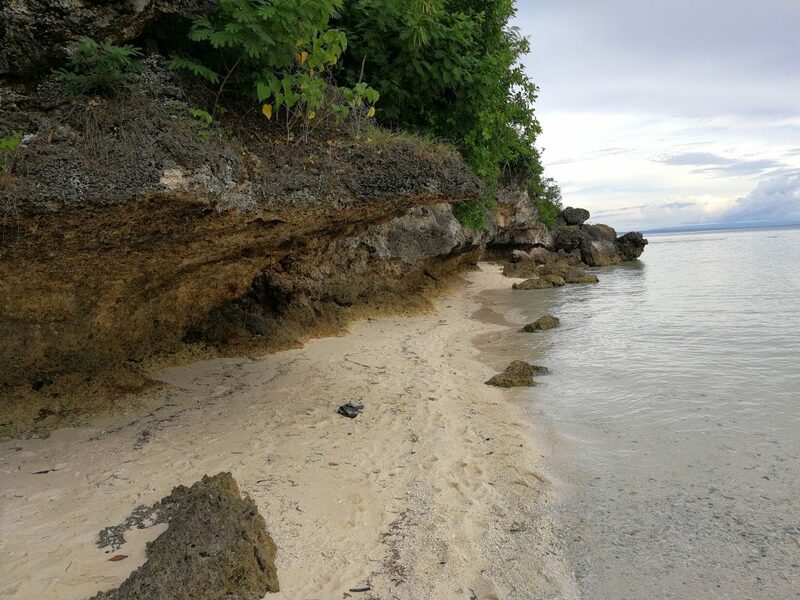 The first one is famous for cliff diving activity, thresher shark encounter and a great jump-off point to visit the nearby Kalanggaman Island in Leyte while the latter is more on a chill and relax experience. 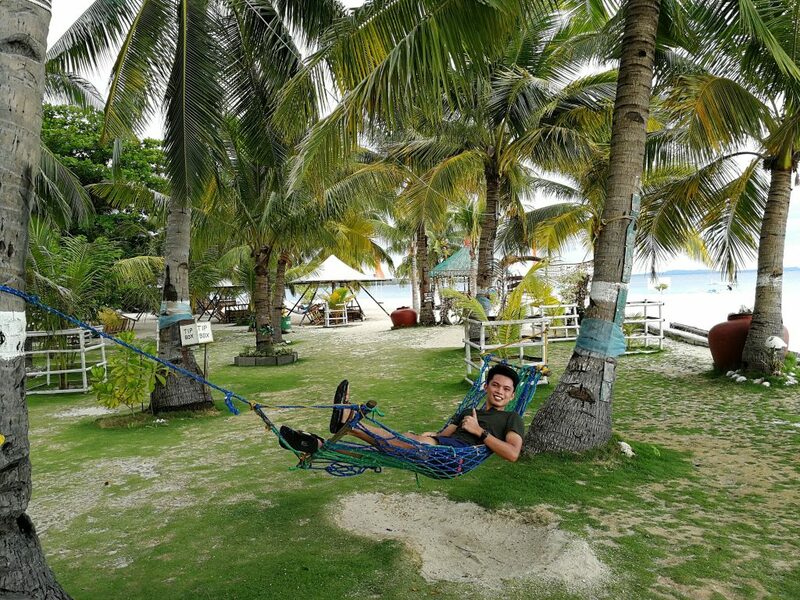 Bantayan is simply perfect for people that wanted peace and who like just to enjoy the day doing nothing but to breathe the fresh air, stare at gentle waves and have an overall therapeutic feeling once they set foot on the island. 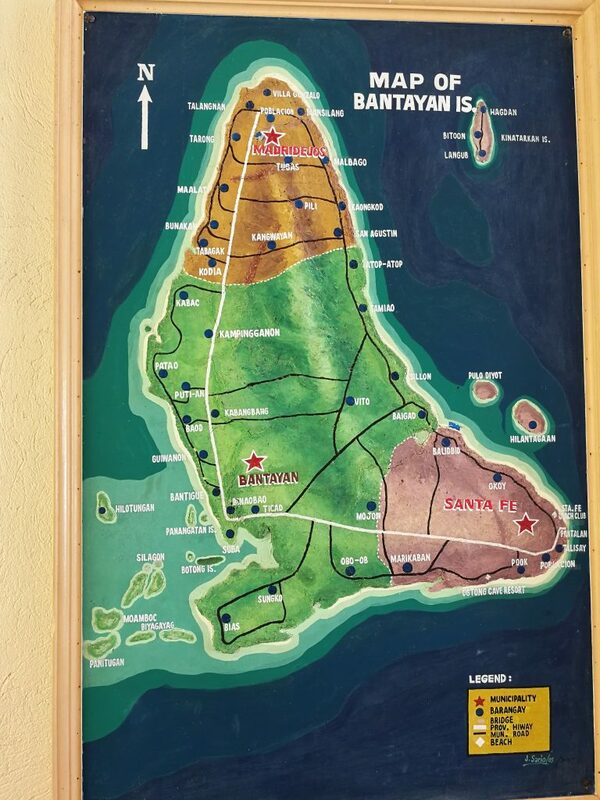 The island is divided into three municipalities namely Sante Fe, Bantayan and Madridejos. Sante Fe is the jam-packed area that caters tourists. Most of the crystal clear water and white sand beaches are all found in the long stretch of Sante Fe’s shoreline. 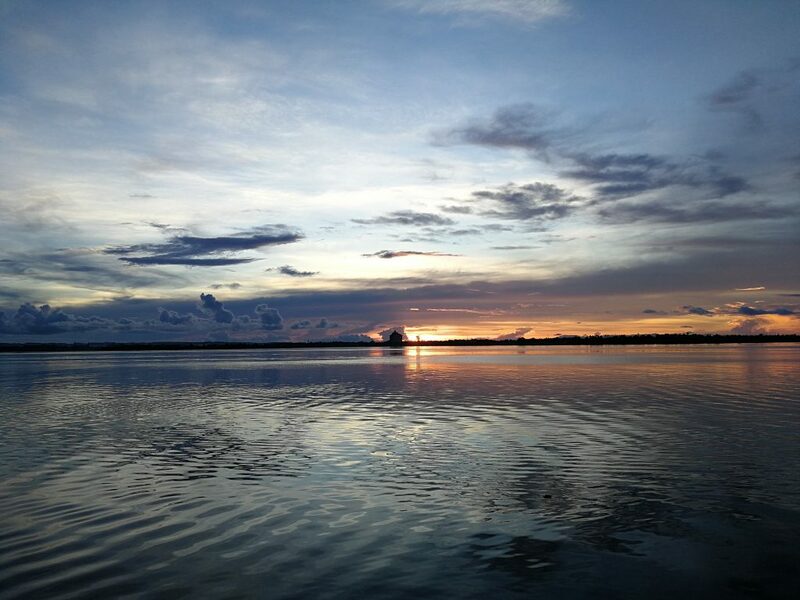 Bantayan is found in the central part and stands as the place of trade and business. Sts. Peter and Paul parish, one of the oldest churches is located in the municipality. Last and the least explored part of Bantayan Island is Madridejos, geographically located on the northern most part near Masbate. We now have a good preview of what Bantayan Island has to offer. So, let’s embark on a trip! We told you earlier that we got a tight flight schedule for Cebu. For us to maximize the time, we need to prepare for an overnight trip bound for Bantayan Island for our second day. That’s what we actually did and also highly suggest to you if you ever plan to fully experience Bantayan. Day 2, 3:00 AM. We headed to Cebu North Terminal and rode a Ceres bus going to Hagnaya Port. There are two buses that will bring you in Bantayan. The first one is bound to Hagnaya while the other one will be going directly to Bantayan. Both is okay but there are no overnight trips for the Bantayan bus. You will ride the same ferry (the bus will embark too in the huge ferry), whatever you choose anyway. What impressed me with these yellow buses is that they are so comfortable. How I wish we rode the same bus when we went to Ilocos Sur. 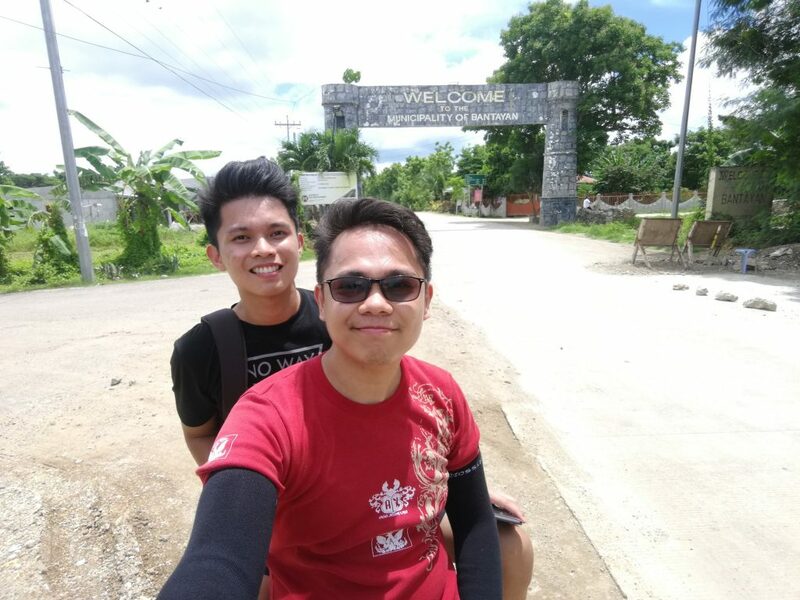 The trip lasted for around 3 hours, with a stop over in Bogo City. Bus fare until Hagnaya is Php 165 per person. Sunrise in Hagnaya Port, San Remigio, Cebu. 6:00 AM. While waiting for the next ferry trip, we rested a bit in Hagnaya port and tasted Cebu’s version of taho. Island Shipping Corporation and Super Shuttle Ferry are the two shipping companies that cater people going to and back from Sante Fe, Bantayan. Ferries leave Hagnaya several times a day so you will not get a hard time catching a trip. You can also bring a car and use it on Bantayan. But I don’t recommend it, the island is not yet fitted for these type of vehicle (several road works are on going during our 2017 visit), motorbike is still the king of transportation around the place. Ferry fare is Php 170 exclusive of Php 10 terminal fee per person. Super Shuttle Ferry Fare Matrix and Schedule. Island Shipping Fare Matrix and Schedule. 8:00 AM. After less than an hour, we arrived in the serene place of Bantayan. If you are a non-resident, you will be charge Php 40 as an ecological fee. This is the same as environmental fee on other places. Don’t fall on the offers of some people that will tell you about island hopping and motorbike for hire. The prices are higher compared when you avail it later in your choice of resort. But if you fall like we did, it is still fine. 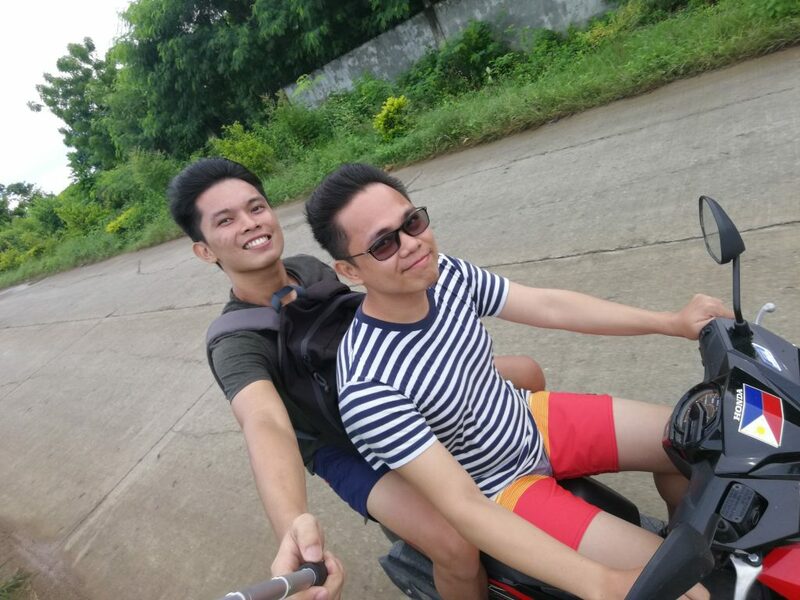 We got a free tricycle ride to get our hired motorbike. 8:30 AM. We left our backpacks in Kota Beach. This is where Camp Sawi is filmed and this is where we will stay for the night! The staff is so nice. However, we are not able to check-in to our rooms early because the resort is so famous, it is almost always fully booked. Haha. A couple of minutes later, we drove out of the resort and took our heavy breakfast in nearby Chef Panyang Restaurant at MJ Square. 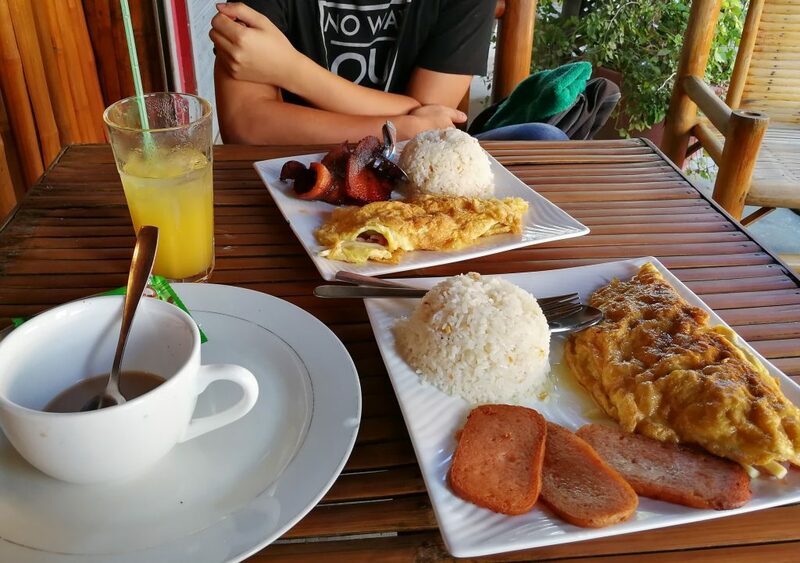 Very big breakfast plates at Chef Panyang Restaurant. Most travelers will stay in Sante Fe and probably have a visit in the nearby Virgin Island and Hilantagaan Island. 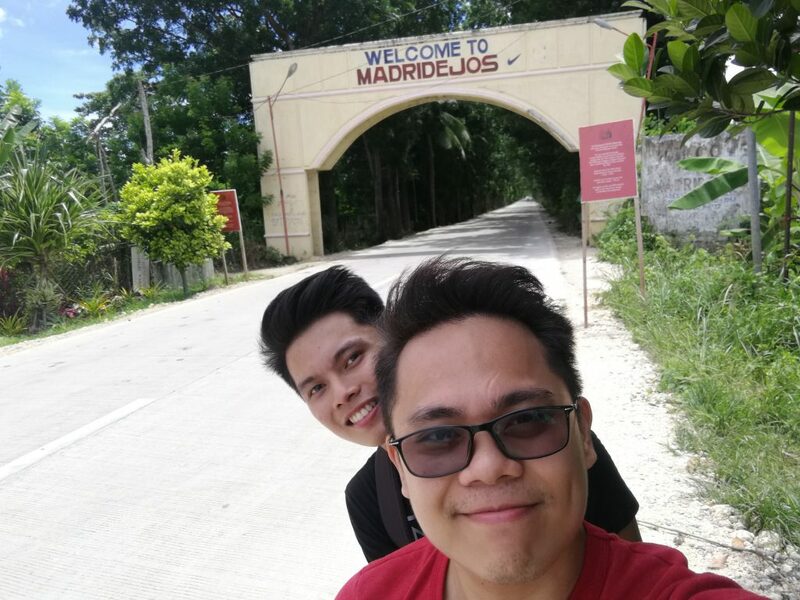 But for us, the Feetpillars, wanted to experience more and decided to embarked on a roadtrip going up to the municipality of Madridejos! So, not wasting any minute, we started strolling around right away! 10 AM. Sts. 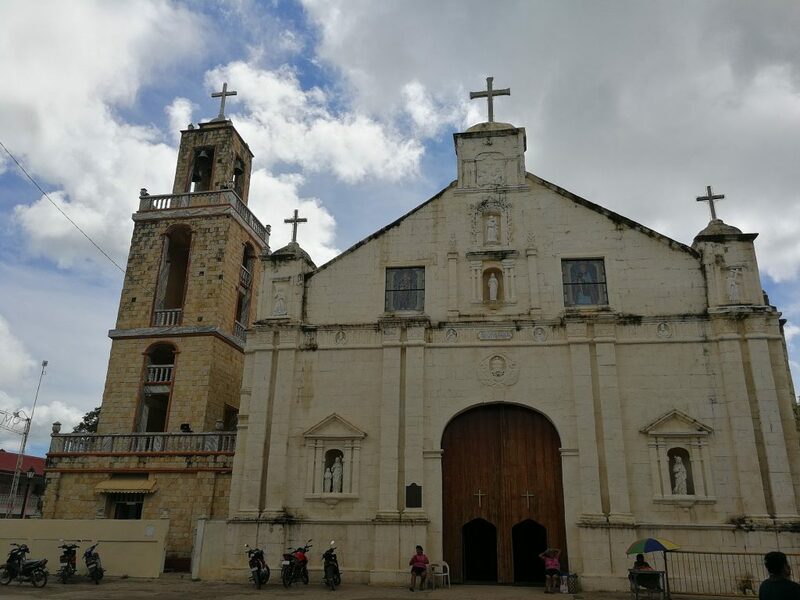 Peter and Paul Parish or Bantayan Church is considered as the first and oldest parish established in Cebu during the 15th century, along with Basilica del Santo Niño in Cebu City. It was ran by Augustinian priests and have St. Peter as its patron saint. During the said era, the parish has an extended territory up to some municipalities in Leyte. In 1600, the parish was burned and destroyed by Moro pirates. It was reconstructed shortly and the management was turned over to the secular. The walls of the church is made of coral stones and with a tisa clay roofing. However, as it aged, the roofing was then replaced with stainless steel. Sts. Peter and Paul Parish, Bantayan Island, Cebu. 10:20 AM. Found across the church, on the other side of rotonda, Bantayan Market is the main area of trade in the island. The market serves the locals and tourists alike. There are dedicated stalls that are meant for tourists. 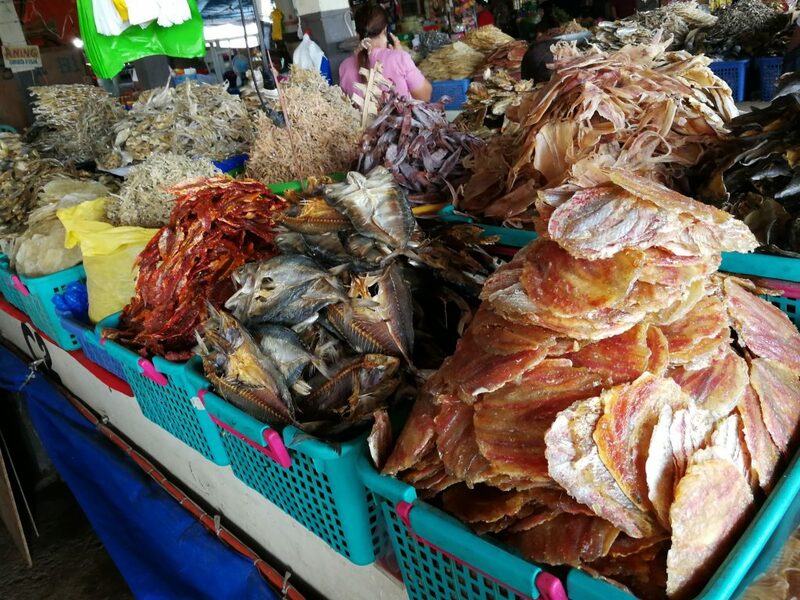 They typically sell dried fishes, as the key “pasalubong” from Bantayan. Don’t ever miss the dried Danggit here, whether salted or not! 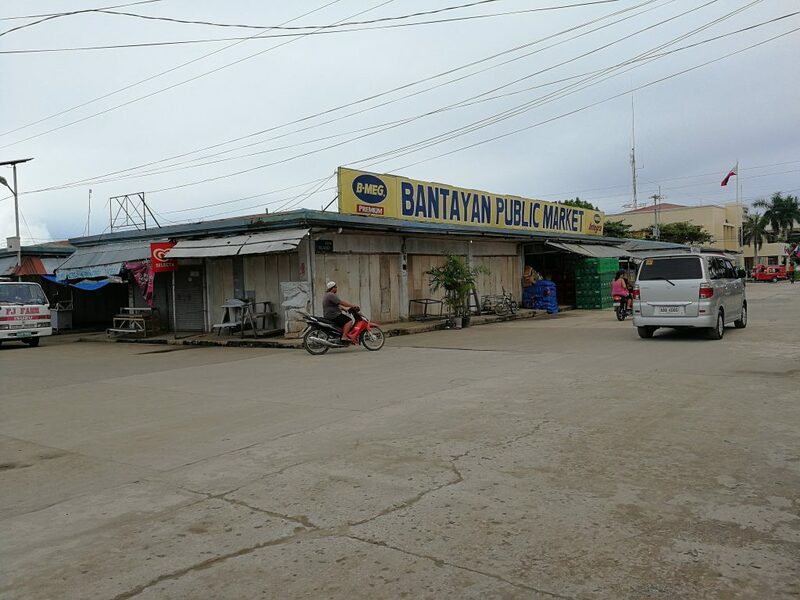 Bantayan Island, Cebu – Public Market. The area has all the basic commodities you will need in the island so there is no need to bring any basic stuff if you are wondering. Prices are okay also. The market is roughly 20 minutes ride from Santa Fe. Dried fish for pasalubong in Bantayan Market. 11 AM. 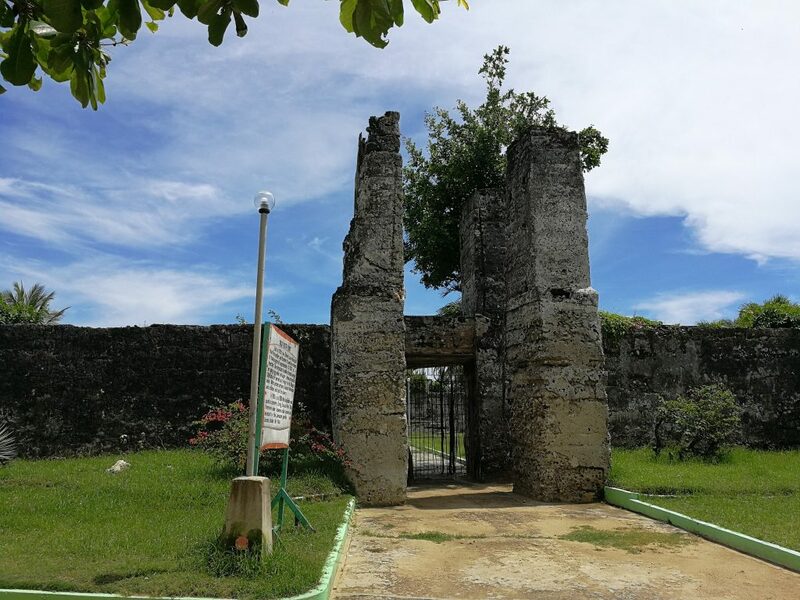 Found on the northernmost edge of Bantayan Island, Kota Park is a mixed-feeling historic place in Lawis, Madridejos. Kota Park is the home of an old Spanish fort, similarly named as Kota from the word “Kuta” which means fort in Spanish. The place was originally built in 1790s to serve as a refugee camp and watch tower to protect its people from the moro pirates, said to raid children for slavery. Large beams in Kota Park, Madridejos. Up until the the 1950s, the place was converted into a cemetery that gives you a haunting feeling especially during the night. The fort ruins itself was closed for visitors but you can enjoy the nearby beach instead. Aside from the ruins of the old fort, another highlight of Kota Park is the 187-meter long footbridge found on its shoreline. The bridge connects the land to a 3-level lookout tower where you can see a lighthouse in the middle of the sea. 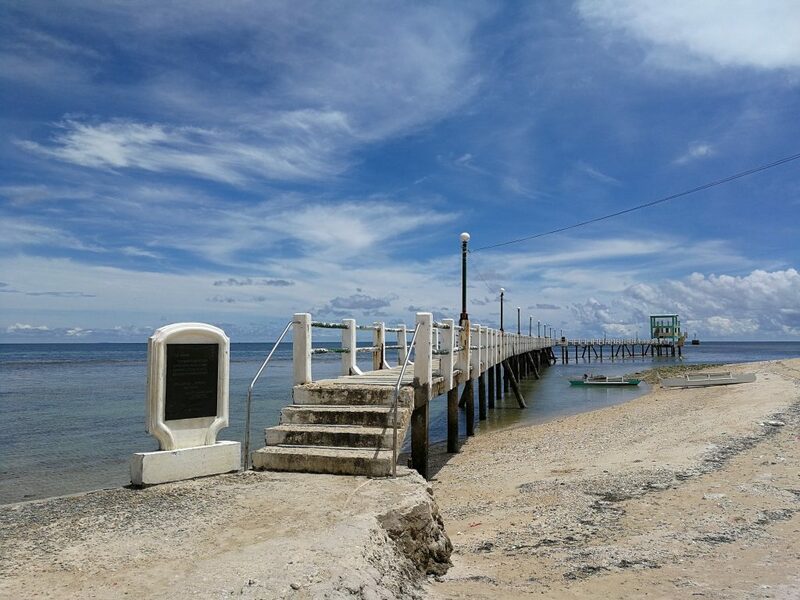 Bontay Baywalk offers different scenery during low and high tide, significantly changing the ambiance of the place. We visited during the morning but Kota Park is known to have one of the stunning sunset beaches you can see in the Philippines. So, consider going here during late afternoon if you have plenty of time. Going into this place is like going into the woods. Roads are partially cemented and obviously due for repair. 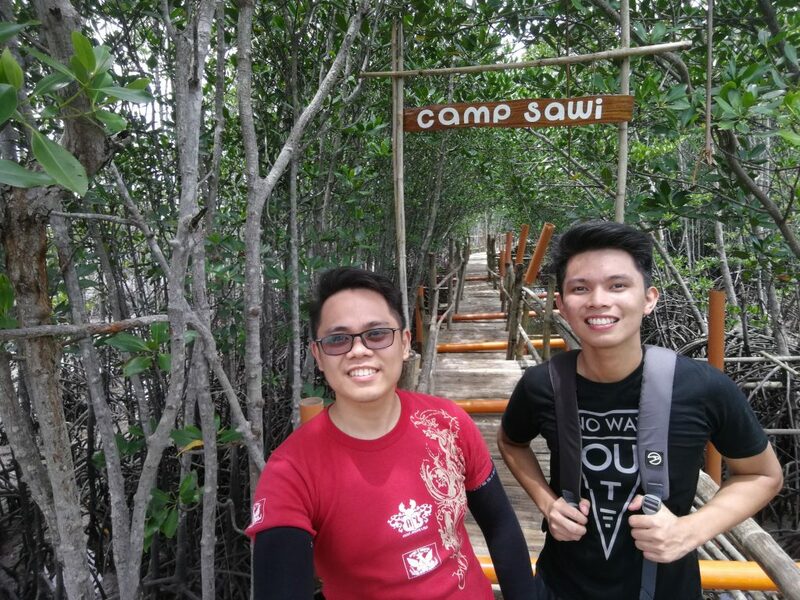 Coming from the huge mangrove forest we saw in Palawan, we were disappointed to see comparably few mangroves in the garden. 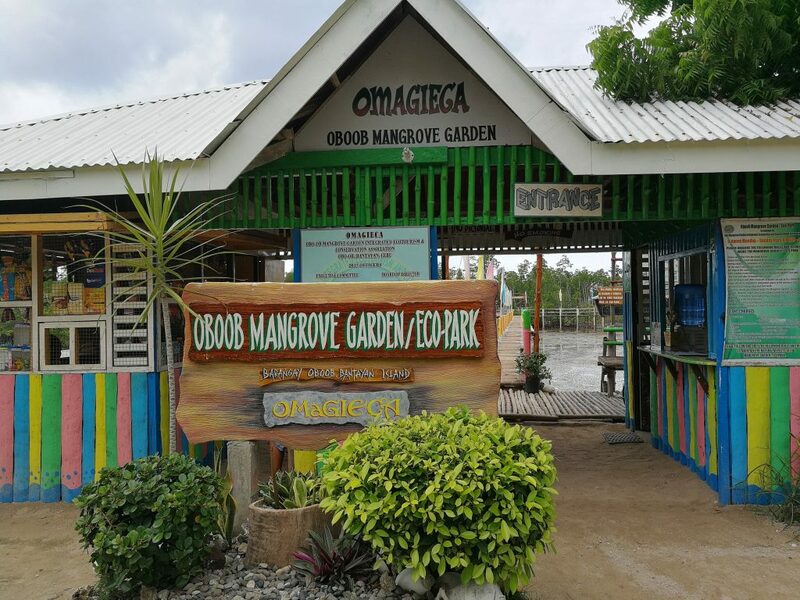 It was said that the mangroves were damaged when Bantayan was hit by a typhoon in 2013, the similar typhoon that devastated Leyte. The mangroves are in rehabilitation stage and it was nice to see the efforts of people planting them in a hope to restore the place on how it was before. Camp Sawi signage found in the trail. View on top of the bambo watch tower. Omagieca was also one of the key places where Camp Sawi movie was filmed, evident by the left over signage you can find along the bamboo path of the trail. There are several areas that looks like cabanas floating above the water when it is high tide. There is also a watch tower made of bamboo that you can climb to have a better view of the place where it connects to the ocean. 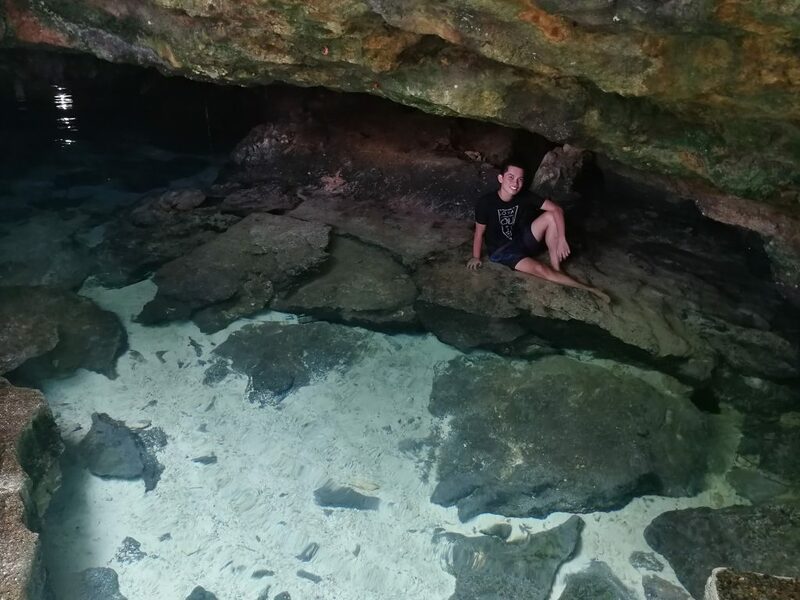 Ogtong Cave is found inside Santa Fe Beach Club. Basically, you will pay for the entrance fee including a day inside the laid back resort. The cave has crystal-clear freshwater underground that is perfect for a short dip, but not big enough for swimming. Underground Cave in Ogtong Cave Resort. Ogtong Cave Resort, Santa Fe Beach Club. We spend longer time here than what was planned since the water is so refreshing. 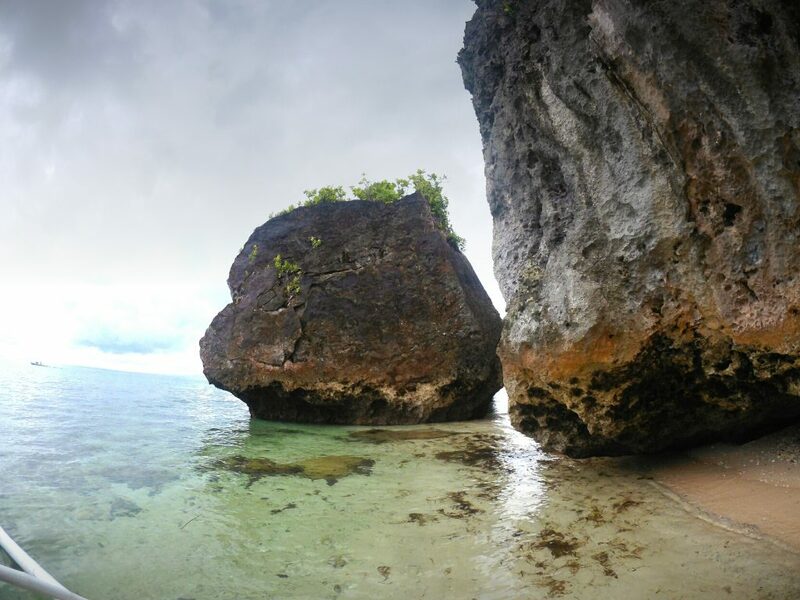 The beach in Ogtong Cave Resort is nothing fancy unlike other beach resorts in Santa Fe. To conceal this somehow, there is a nice pool you can use instead just few meters away from the underground cave. 45 minutes away from Sante Fe by boat, Virgin Island is a well kept property with powdery white sand. The area was secluded and a great spot to stay when Sante Fe resorts are overcrowded during the holidays. Let me try this hammock. Some beach chairs in Virgin Island. There is no public boats going into the island so you should hire one to bring you there. We got ours earlier in Santa Fe port for P1,000 including a quick drop in Hilantagaan. You can find cheaper rates as low as Php 700 (as of 2017) when you are at the hotel from fishermen offering deals to bring you on an island hopping tour. We do not recommend going here. The part of the island that is occupied by locals was not pleasing to our eyes and does not deliver a good experience. Aside from unkempt garbage floating around, pig pens right beside the waters, there is nothing special you can find in Hilantaagan. Don’t be fooled with the pictures. They are nice to see on screen but our experience is the exact opposite. I guess we stayed here for only around 10 minutes. Our boatman was a resident here, we did not even got his name because he barely spoke during the tour. Maybe he’s not that fluent Tagalog speaker. This one is the best and unexpected experience we had in Bantayan. One random fishermen approached us in Kota Beach offering an island hopping tour. We said we did ours already. However, he was dedicated and showed us pictures. We are awed for what we saw. We agreed with Kuya Romie to bring us to the place for 600 pesos. 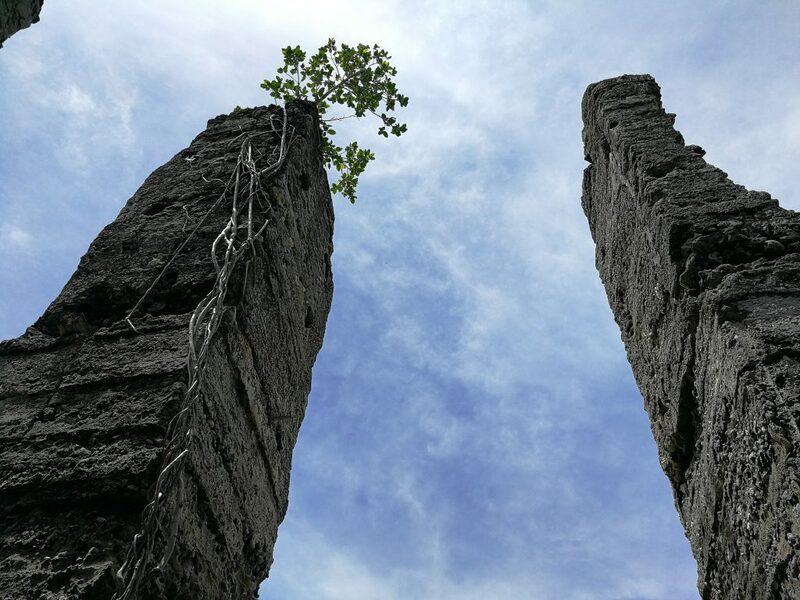 Galingan Rock Formation, Hilantagaan Island. Galingan is a part of Hilantagaan Island but found on the other side wherein most parts stay uninhabited. 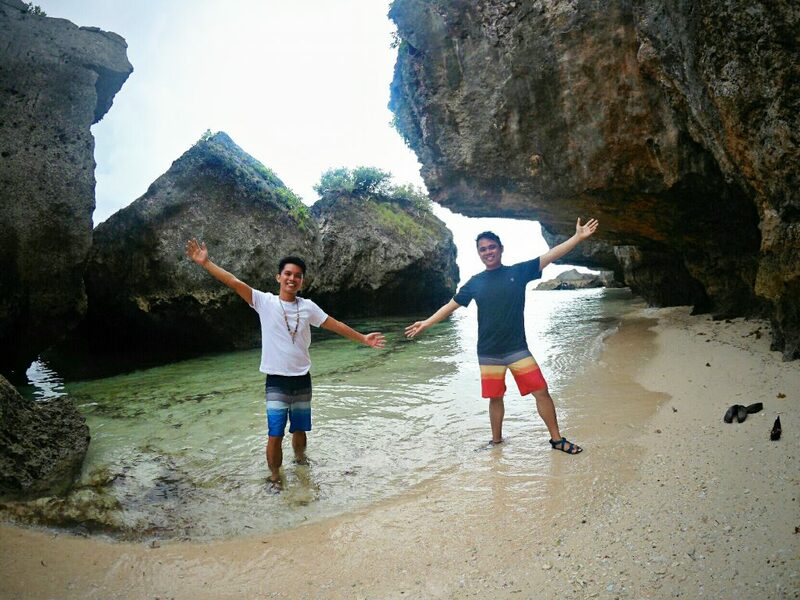 Locals call the place Galingan or Galingan Island but I prefer it to be called Galingan Rock Formation. There are several big rocks that looks like they were aligned intentionally beside the shoreline. We are struggling to take a nice photo with our almost battery drained action camera. You can’ just believe it was like it was. Haha. The pictures we took in Galingan didn’t give enough justice probably due to a gloomy weather. We decided to create a separate blog for Galingan because it is a real hidden gem waiting to be explored further. Of course, your trip to Bantayan isn’t complete if you will not check out the famous ever sandbar in Kota Beach. As said earlier, we stayed right inside the resort and the shore is only few steps away. Unfortunately, the weather during our second day isn’t that nice. Mr. Sun did not showed up until we are going to check out. The whole beach area is still beautiful though, even without the blue colored skies. Before, the resort allows resort hopping with no charge if you are coming from a nearby resort (e.g Budyong Beach). However, during our visit, there is a clear division between the two, indicating that just walking around isn’t allowed. 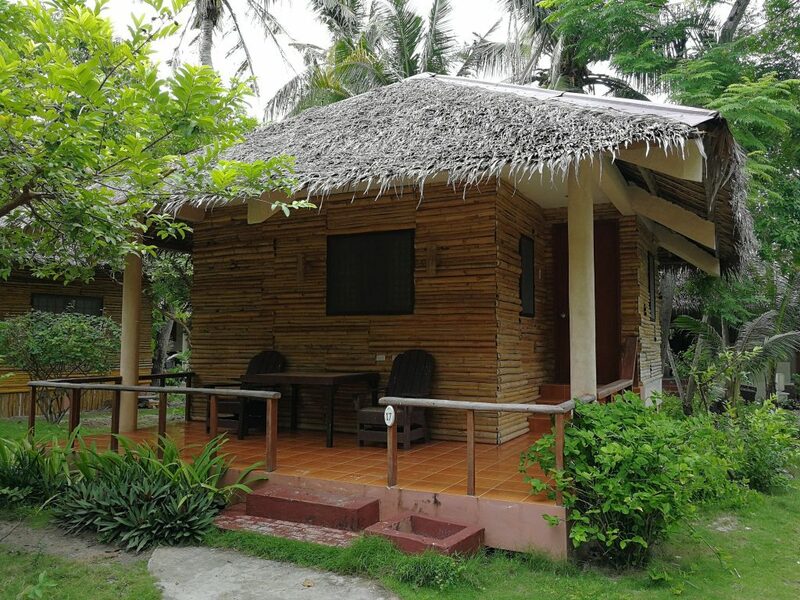 Kota Beach Room Cottage – Row 3. There is an in-house restaurant that serves several dishes. Just make sure you order your food way ahead of time you plan to eat, the quality is nothing I can brag about. If you are looking for some more options, go out of the resort and turn right after you passed beside the church. There is a place called MJ Square that has restaurants open until late night. Entrance Fee: hotel stay required, beach room cottage starts at around Php 2,000 for 3rd row and up to Php 4,000 for beach front room cottages. MJ Square is somewhat like a food park that contains several restaurants. During our entire stay, we ate at Chef Panyang Restaurant aside from our Day 2 breakfast taken in Kota Beach. Their servings of delicious food is worth of your money! Shrimp in Butter and Honey. Guiwanon Ocean Park. If you are not a swimmer like Raz and was also afraid to snorkel, this place will be best suited for you. The park has several glass bottom flatboats wherein you will be able to see the corals and fishes at the bottom without getting wet. Too bad we forgot to drop by on this place during our stroll! Rate is around P300/person. Sugar Beach. This is another gem in Bantayan for beach lovers. Powdery white sand, anybody? If you have plenty of time, do not forget to go here, this is actually inside Sugar Beach resort. 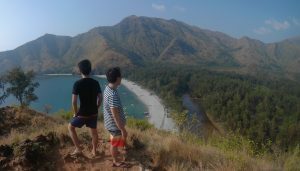 Budyong Beach. Sitting beside Kota beach, this is another serene place that caters a different atmosphere compared to Kota. Paradise Beach. Also known as Sandira Beach, Paradise Beach is a long strip of white, mostly powdery sand in Bantayan. There are no cottages nor food vendors inside this private beach. Entrance fee is P50 for adults and 25 for kids. The beach operates only from 9am to 5pm. Butterfly Garden. This is a new attraction in Sante Fe wherein hundreds of butterflies are showcased. This a nice place for adults and kids alike. Entrance fee is P100 for adults and P50 for kids. German Ruins and Cliff Diving Site. Another memory of the typhoon Yolanda that devastated Bantayan in 2013. This is a 20 feet cliff diving site a few distance from a ruined house. Skydiving. This may come as a surprise. But, Santa Fe, Bantayan has its very own airport! Yes, although it’s not an airport meant for planes that can bring you back in Manila or in other places. Bantayan Island is the home of SkyDive Cebu popular for tandem skydiving. You can know more about it here. Kite Surfing. Do you want to learn or just like to try kite boarding? Bantayan has it to offer. Check it here. All expenses quoted for two persons for 2D 1N stay in Bantayan. Food, transportation and other expenses are all included in our budget shown. This will guide you on how to prepare your own budget too depending on how long you will stay and activities or places you want to go. The grand total maybe a bit steep for what you are expecting. However, you can get the expenses down by saving on food, staying on a cheaper/budget room and getting cheaper rates (island hopping, for example).